October Jones (of Texts from Dog fame) is our kind of transit hero. 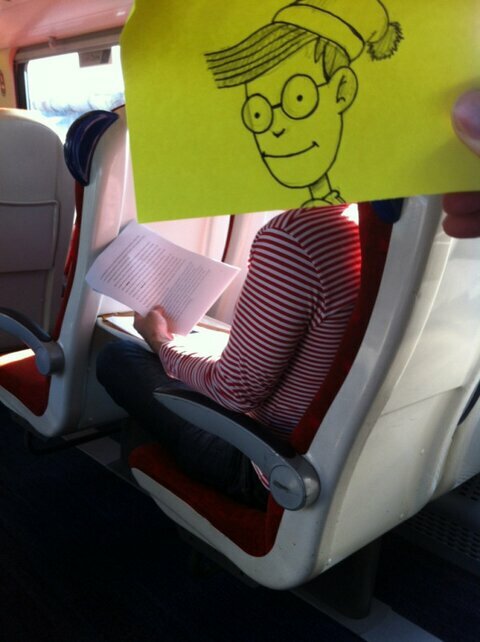 His Post-It doodles can transform any long, hellish commute into something light-hearted, even enjoyable. Above, Jones’ Where’s Waldo. 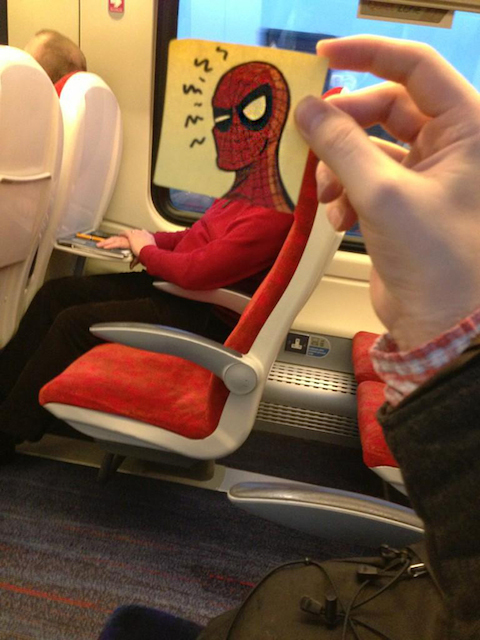 Below, Spider-Man.